When was the last time you heard some “good news” about someone you used to know? You quickly go into your brain archives to dig up all the contrary evidence you have of this person. Their not so good history, the history that holds all the reasons why they shouldn’t be beneficiaries to such good news. You’re probably not like that, in fact you have never had such thoughts about anyone. Doesn’t the Bible say “whatever things are pure…think on them” and you’re such a “good Christian”. You have done pretty well for yourself and deserve a standing ovation. But you see, some of us are still in the Potter’s Hand, our minds are still being renewed daily, we are constantly torn between who we are and who we ought to be. I have a confession to make and while I’m at it please try not to judge me. The month of June is always extra special to me but this year added some toppings to the cake. If you’re a Nigerian you probably were aware of the #HallelujahChallenge but for those who are in the dark I’ll explain it. Nathaniel Bassey a Nigerian Gospel artiste inspired by the Holy Spirit, hosted a 1 hour praise session everyday in the month of June. What made it amazing was the fact it was online and started at 12 midnight. People tuned in from all over the world and because it was live, you could see when anyone joined and even dropped a comment. I remember joining and after a few days I started seeing some names pop up in the feed and when I mean names I’m referring to some “Secular Artistes and Actors”. I’m not sure what went through my mind but I could literally hear my self judging them and wondering what they were doing in such gathering. They should probably be sleeping and not staying awake to join some bunch of people who were praising, reading the Bible, praying in known and unknown tongues. But God reprimanded me, who was I to determine who joins in a praise session? Was my blood offered to God on their behalf? Who made me judge? Oh!!! My foolishness stared at me and I repented. Just when you thought the world had few of my kind (before I repented) multiple headlines make the news. Few days ago the justification of Tasha Cobbs featuring Nicki Minaj on one of her songs was and is still a topic of debate. While listening to a Mix on YouTube the song popped up. I instantly remembered the ongoing debate, and because my mind is always very busy I remembered my perception during the #HallelujahChallenge and it didn’t stop there, I was equally reminded of Rahab the Harlot in the Bible. For a long time I wondered why Rahab was mentioned in Hebrews 11 in the hall of fame of faith. At the back of my mind I knew she deceived the soldiers who were looking for the spies and I’ve always questioned the rationale of her making the list. But I was so wrong and God wanted me to know the truth. A teaching series on the heroes of faith from Hebrews 11 has been going on in my local Church. It’s been an exciting journey but so far Rahab’s teaching has been my best. Joshua 2: 9 – 11 holds something profound and “she said to the men,I know that the Lord has given you the land, and that the terror and dread of you has fallen on us, and that all the inhabitants of the land have melted [in despair] because of you. For we have heard how the Lord dried up the water of the Red Sea for you when you came out of Egypt, and what you did to the two kings of the Amorites who were beyond the Jordan [on the east], to Sihon and Og, whom you utterly destroyed. When we heard it, our hearts melted [in despair], and a [fighting] spirit no longer remained in any man because of you; for the Lord your God, He is God in heaven above and on earth beneath.” While God sent signs to Abraham, Sarah, Moses etc she only heard of God’s exploits and believed He is God. Her faith came by hearing and like the Word says “Faith comes by hearing and hearing the Word of God”. for the Lord your God, He is God in heaven above and on earth beneath.” While God sent signs to Abraham, Sarah, Moses etc she only heard of God’s exploits and believed He is God. Her faith came by hearing and like the Word says “Faith comes by hearing and hearing the Word of God”. Rahab the Harlot, the somewhat “Nicki” of her time although not similar in occupation but are both unlikely candidates for the job they carried out. Negotiated the safety of not just her but her entire family, she would later become the great – grand mother of King David and many years later Jesus Christ was born from the descendant of the King. A look through the genealogy of Jesus Christ in Matthew 1, only five (5) women were mentioned : Tamar, Rahab, Ruth, Uriah’s wife and Mary. Go and do an extensive research these women would never have ticked the boxes of our holy standards to birth the Savior of the world. Oh!!! May God break us especially those of us who sit in the front row in Church, who lead the Prayer team, may He break us to see through His lens. The “good, born-again Christians”, what does this even mean? Once you’re a Christian in the true sense of the word you’re Christ-like. It’s either you’re Christian or not, no extra qualification. And like she said God tapped them and told them she’s mine. These are prophetic words and as you said believing the power of life and death are in your tongues, I speak the life of Christ over you and may your life point the world to Christ. May we all be gracefully broken that we can accommodate others. Have we gotten used to God? I haven’t learnt how to play any musical instrument yet, don’t know if I’m too old to start now. Maybe my kids will start early (hoping they have a flare for it). Although I’m not an instrumentalist or a professional singer, I’ve been blessed with a few as friends. You know it’s easy for someone to rub off on you, when you have close contact. The rubbing off, these friends had on me was an ear to pick out good sound when I heard one (not as though I’m perfect). On different occasions, one will point out how a wrong key was played on the piano, a wrong pitch by a singer or some good beats on the drums. Most of these criticisms happened in church and gradually I started doing that. I’ll go to church and my ears are tuned to pick out irregularities in the sound production coming from the choir. Can you relate to my story? Ever been in church and somehow you didn’t feel the vibes coming from the choir, they weren’t living up to your high expectations. I’m sure you’re nodding your head now and saying “finally I get to find someone who reasons like me”. Hold on a little, my dear “Mozart“. When did the church become a place of entertainment? What’s our aim of going to the house of God? We go to church, and hear songs like this “We lift up holy hands with one accord” and our hands are folded, for the simple reason of poor quality of sound. Yet all of us were quick to do the “Oga at the top” sign when it went viral. Who do we think we are??? We are not all that. Are we saying without instruments and a “Whitney” led choir we can’t worship God. “He said to them, My house shall be called a house of prayer, but you have made it a den of robbers” Matt 21 vs 18 AMP. His house is for prayers and worship is a form of prayer and you come in, and rob God of worship all in the name of wrong musical notes. Does it mean we can’t worship God in our closest without listening to some “good” music or our worship ends once the choir stops singing *smh. Have we gotten so used to God that we take His things for granted? 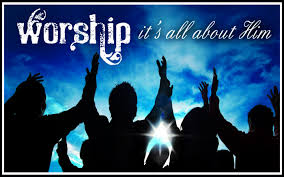 “Now is the time, when the true worshipers will worship the Father in spirit and in truth and the Father is seeking such people” John 4 vs 23 AMP. Will God find you? For as much as we live in the dispensation of Grace, let’s not forget the God who has our lives in His hands. Can this be related to our relationships? You’ve suddenly gotten used to your spouse or partner and there’s really nothing else. The spark that once existed has turned to a smoke coming out from burnt out wood. There’s no excitement because we’ve gotten used to them and gradually we start to lose that person. God is new every morning. You can’t search out His totality. At one point He’s a Way maker, Protector, Provider, Healer, Judge, Father, Shield, High Priest and so much more; and He still listens to all of us when we come to Him lost and confused, never mixes up our prayer request. 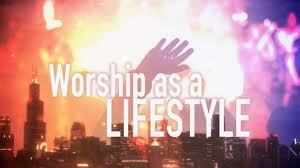 How can you think you can only worship this Great God conditionally, when the music is played well? If you need to be entertained, go to a concert. Author JMADPosted on April 1, 2013 April 1, 2013 Categories WorshipTags Cross, Easter, Instrument, Mozart, Music, Prayers, Relationship, Whitney Houston, Worship4 Comments on Have we gotten used to God?